We wanted to stop by today to share an event that is happening in May…CraftBomb! 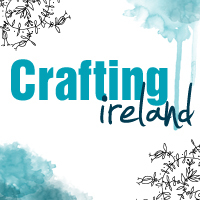 From 9 – 18 May, Voluntary Arts Week will celebrate creative activity across the UK and Republic of Ireland – and all craft groups are invited to take part. Decorate your local area as part of the nationwide ‘CraftBomb’ Download our handy CraftBomb pack, filled with useful tips and ideas to get you started – then turn your meeting place or neighbourhood into a riot of colour! Hold a ‘come and try’ taster session or workshop to encourage newcomers to join your craft group Or simply make your usual get-together welcoming to newcomers during Voluntary Arts Week. Any craft can be used for the CraftBomb – from knitting to embroidery, paper-craft to woodwork – it’s up to you! You could CraftBomb your local park, school railings, meeting place, village square – the possibilities are endless (once you’ve sought permission!). Voluntary Arts Week and the CraftBomb are run by Voluntary Arts, the development organisation for amateur arts and crafts. But the real stars of Voluntary Arts Week are the thousands of crafts group who regularly bring cultural activity to their local areas.